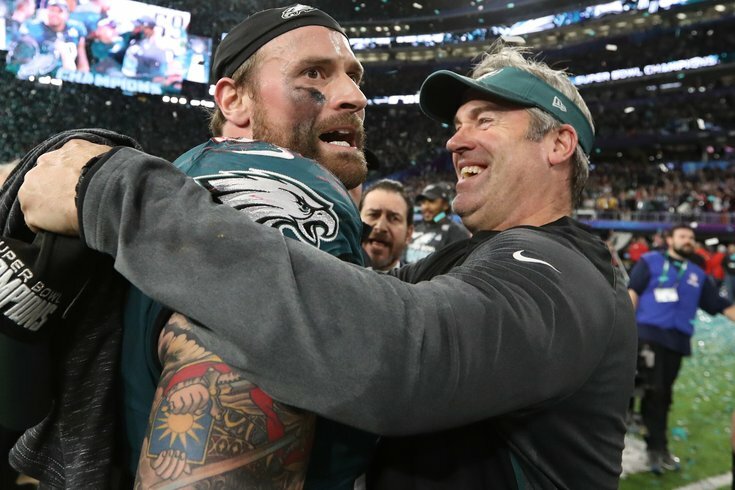 Philadelphia Eagles head coach Doug Pederson celebrates with Chris Long after defeating the New England Patriots 41-33 in Super Bowl LII at U.S. Bank Stadium. The Philadelphia Eagles beat the New England Patriots 41-33 to win the Super Bowl and social media is on fire with the reaction! Here's how fans are reacting to the historic victory in the big game on Twitter and Instagram.